We spent a wonderful weekend away, visiting some old friends down in New Orleans, LA. The city is about halfway for both of our families. Although we finally live back within driving distance, we haven't gotten together over the last 2 years. Nothing like an impending move to motivate you to make plans! You know it's a good trip when you only took a handful of photos. I meant to take more, I really did, but we were having such a great time chatting and exploring that I didn't even really think about the pictures. 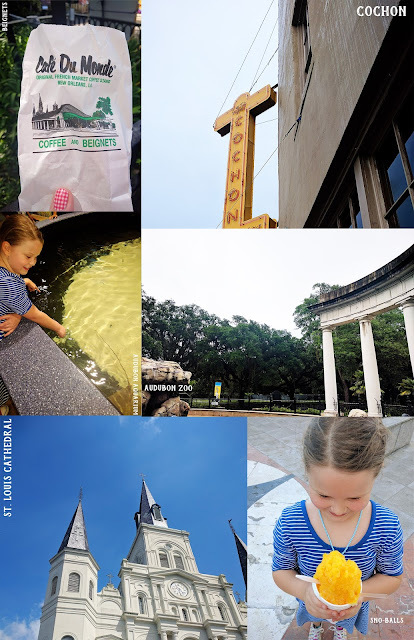 Cafe Du Monde - Delicious beignets, they are like dense sopapillas. We went to the original location in Jackson Square, and walked several blocks to get there. We found out after there were other locations closer to us, which would have been easier on our feet. Cochon - Awesome Cajun dinner spot. We were all starving and this was close to our hotel. It turned out to be one of the best meals we ate there. If you go, you MUST get the macaroni & cheese, it was beyond amazing. We also tried the chicken & andouille gumbo, cochon, lima beans, rabbit & dumplings, lemon poppy-seed cake and blueberry crumble. Audubon Aquarium - We have been to many an aquarium. Monterey Bay Aquarium is a long-standing favorite and the Audubon Aquarium definitely held up to our expectations. It has seahorses, jellyfish, a shark tank (including a walkthrough tunnel), and penguins. It also has a touch pool where we got to touch manna rays. Definitely a highlight. Plus, it's indoor and air conditioned, a perfect place to escape the summer heat. 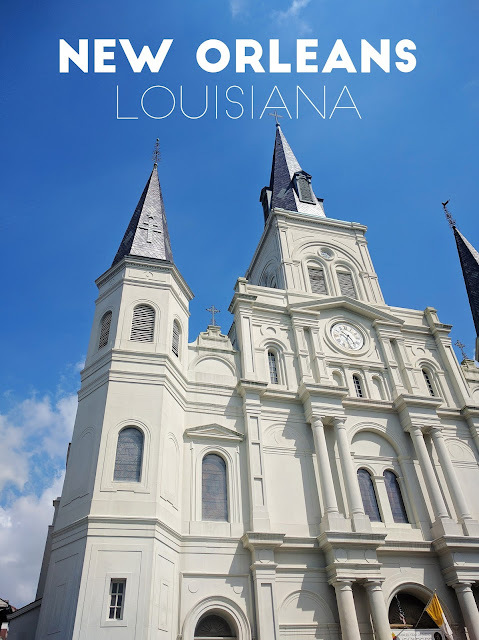 We did do a quick trip through Bourbon Street and the French Quarter, but it's not a family friendly area of town, so we made it a quick trip through that area. Weekend trips seem to fit our family lifestyle the best. We are homebodies by nature and too many days away from home makes us kind of itchy. Since we will be moving back the the west coast, we are already thinking of our next destination. Any other suggestions? I would love to visit/eat/stay at already approved places.